Turn screws adjusting both idle and main mixture in (clockwise) finger tight, however over tightening the screws may partially or entirely damage the tapered portion of the needle. After that, slowly back out the screws in a counterclockwise direction to the pre-set position. Note: Some models may have fixed main jet feature characterized by the absence of adjusting screws that gives a clear indication of a fixed jet that requires no adjustment. 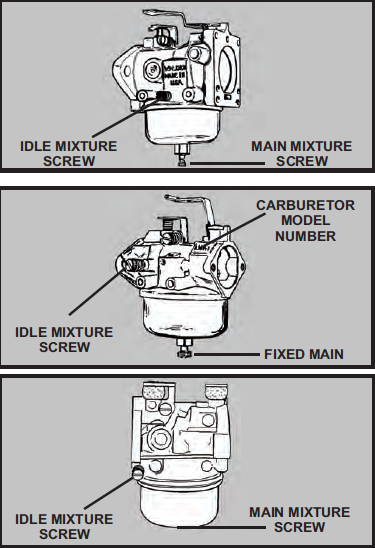 Different types have diverse style of idle adjustments; the series 1 carburetor comes with two varying styles of adjusting needle for the idle. 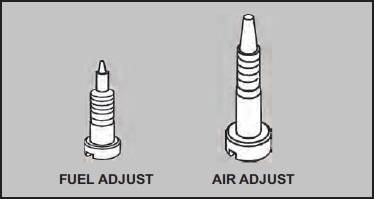 For air adjust system, long needle is used and for fuel adjustments the short ones are used. The adjustments for both the system are pretty much the same; however, the drops off point indicate may not be as noticeable. Upon starting the engine, initially allow the engine to warm up to a normal working temperature. 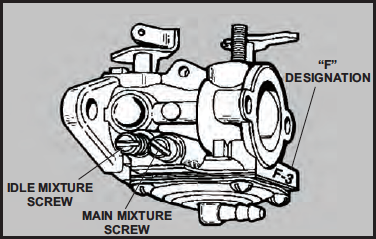 Once the engine picks up the speed and high or fast speed has been set, it is then advisable to turn on the main mixture adjusting screw to the clockwise slowly-slowly till the point when engine begins to run inconsistent and note down carefully the position of screw at this point of time. Repeat the same in reverse direction and now turn the adjusting screw out in counterclockwise direction until the engine reaches a point from where it begins to run in an erratic manner. Now to find out best setting point, turn screw to the clockwise direction towards midway between these two positions and that would indicate best setting point adjustment. Set down the speed controlling carefully to the IDLE position or to the SLOW position, precisely check for an appropriate IDLE or SLOW pace RPM and at that particular point the idle mixture screw need to be adjusted and in the same way as the main mixture screw. If it is necessary, the main adjustment can be done with the engine in a loaded condition. Caution: It has been advised to never operate the engine after removing the covers and guards. There can be some really severe injuries resulting from rotating parts. Be cautious and keep your body parts, hands, hair, clothes, and accessories at a distance from all the moving parts. To put the engine under the load condition, carefully engage cutter deck, impeller and various other driven parts. 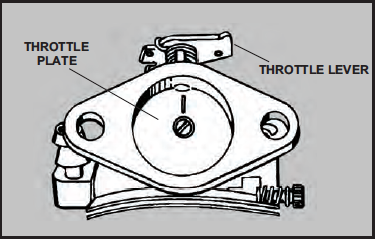 During an event of the engine stoppage or in case engine hesitates while engaging the load, carefully set the main mixture adjustment screw out to counterclockwise 1/8 turn at a time, simultaneously testing out each and every setting with the equipment in load, awaiting this condition to be corrected. For excessively smoking engines, (rich) turn at the time, in the clockwise direction turn the main adjustment screw, remember just 1/8 turn at one time and simultaneously test every adjustment setting done with equipment under the load, until the condition when it is corrected completely. Gradually move the speed control to the IDLE position or the SLOW position once the main mixture is set properly. Carefully turn up idle mixture screw about 1/8 turns either in clockwise or opposing out in the cocounter-clockwise direction in case the engine is not idling properly/smoothly. Repeat it until the engine continues to idle smoothly. Reconfirm the LOW RPM and HIGH RPM settings and make adjustments as required. One of the most important things to do is to ensure correct RPM adjustments. Now, as per the recommended RPM you can easily adjust the LOW and HIGH speed screws. It is also recommended to firstly identify carefully the position of LOW speed RPM as well as HIGH speed RPM adjusting screws, once done with this next step identify the corresponding HIGH and LOW RPM adjustments accordingly to microfiche card 30, the computer parts looking system or servicing bulletin #107 for rotary movers. While the engine is running at lowest speed bend the idle RPM tab to set governed idle at a designated RPM position. After setting governed idle, in the next step it is time to set the non-governed idle. To set the non-governed idle, push bottom part of the governor lever carefully in an opposite direction away from controlling brackets in such a manner that the throttle lever comes into contact with the idle speed screw. At this position, hold the lever and carefully turn the idle adjusting screw in clockwise direction to increase or in counterclockwise direction to decrease the engine idling speed. Make sure that the setting of carburetor screw must be set either 600 RPM below the tab or at the governed idle setting. Carefully turn both the main screw as well as idle mixture adjusting screws to clockwise direction finger tight. 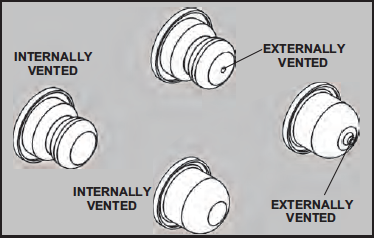 Be careful while tightening the screws as over-tightening may lead to damage of the tapered portion of needle. Now turn back the both the screws out counterclockwise into pre-set figure as shown in the chart. Correct fuel and air mixture is necessary for smooth performance of the engine. Upon starting the engine let it to warm up for 5 minutes till the point a normal operating temperature has been reached. Upon reaching the normal operating temperature, set carefully the speed control position at HIGH or FAST, and then until the point when engine begins to run erratic (lean), repeatedly keep on turning the main mixture adjusting screw slowly in clockwise direction. Make sure that you note carefully position of the screw at this point. Now repeat the same in counterclockwise direction, and turn the screw out in counterclockwise direction up to the point where engine begins to run erratic (rich). After taking both the values, now turn the screw back towards the clockwise direction to position the screw in midway between these two adjustment positions and this point is considered as the best setting. For smooth functioning, set the speed control carefully to either SLOW position or IDLE position and make idle mixture screw adjustments in the similar way as the main mixture screw. Now you can easily set the HIGH speed and LOW speed governor adjusting screws according to the recommended RPM’s. It has been advised to firstly identify the positions of both LOW speed and HIGH speed governor adjusting screws. After identifying these values, identify the standard HIGH and LOW RPM settings as recommended according to microfiche card 30. In case if further adjustments are needed, then main adjustments must be made under the loaded conditions. Make sure that engine is never operated with covers or guards removed as the rotating parts of the engine can cause some severe injury. To put the engine under load conditions, make sure all the driven equipments like cutter deck, impeller, etc. are engaged properly. 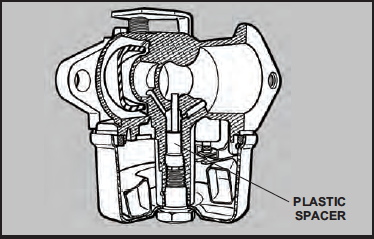 During an event of the engine stoppage or in case if engine hesitates while engaging the load (lean), it is advised to turn the main mixture screws used for adjusting out in a counterclockwise direction about 1/8 turn at a time and simultaneously testing each setting position with the equipment under load until this condition is corrected. 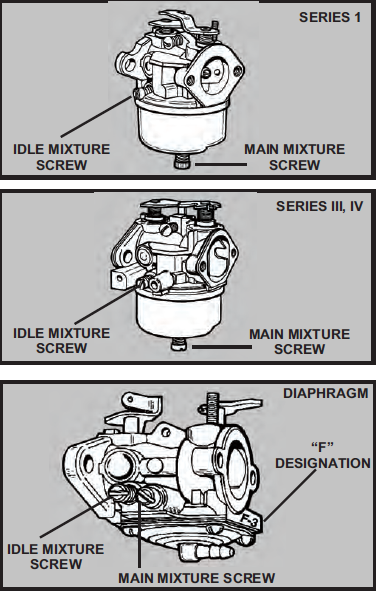 During an event of excessive smoke from the engine (rich), the main adjusting screws need to be turned on in (clockwise direction) 1/8 turn at a time, simultaneously testing each and every setting positions with the equipment under load to the point until this excessive smoke condition is corrected. Carefully move the speed controls towards the IDLE or SLOW position, once the main mixture is set. Turn the idle mixture screw to 1/8 turn either in the clockwise direction or out into counterclockwise direction in the case if engine is not idling up to the point where engine starts to idle smoothly. Check your settings for HIGH and LOW RPM again and make adjustments if necessary. All of the above mentioned fuel, RPM and idle adjustments are necessary. You must follow them religiously and keep your engine in a pristine condition for a longer period of time. 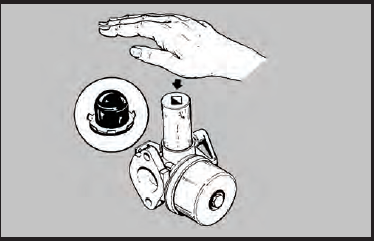 To allow the engine to get started allowing the carburetor to be fine tuned, turn the idle mixture adjusting screw into clockwise direction finger tight, closed to the position, and then turn the screw into counterclockwise direction following chart above. Idle Mixture: Upon the start, for first 3-5 minutes, allow the engine to reach a normal operating temperature. It is advised that only once the engine reaches normal operating temperature, begin swiftly with turning idle mixture screw in clockwise direction. The engine would start to falter as soon you turn it towards clockwise direction. Such a situation is termed as the lean drop off point. NOTE: As soon as the RPM exceeds 2,400, immediately stop the procedure for a while and diminish the idle RPM. Make sure that RPM does not exceed above 2,400 as this may cause the fuel from main jet to supply to the idle mixture that may lead to an unbalanced idle mixing settings. Turn the needle out till the point engine starts faltering. Make a note of this particular position, this is known as the rich drop-off. The final useful needle setting lies somewhere halfway between the lean drop-off points and rich points. Once this mixture is set, there is also a need to adjust idle speed that need to be set as per the recommended RPM. Try to remove the air cleaner assembly. Remove the brass cup shaped plug out of the nozzle well vent using an ice pick type of tool with a small hook placed at the end. Reassembling the choke shaft assembly. Reinstalling the air cleaning assembly. To prevent chips entry into the carburetor make sure no thread taps are used. 1 Carefully remove bowl and after removing it push the float hinge pin out with the carbtool part # 670377. remember that the float can’t be rotated in upward direction. 2 Using the carb tool, remove the seat. 3 Insert the carb tool gently to remove the emulsion tube. Until you successfully locate the air bleed passage, keep on rotating the hook. Then pull the tube outwards keeping the hook in place. 4 Better remember there are 2 “O” rings present on the emulsion tube. To successfully remove the upper second “O” ring you might have to enter into the center leg for a second time. 5 Using a sharpened chisel carefully remove the extended prime well welch plug. Pound close to the red primer bulb side while piercing through the extended prime well welch plug, as not to mar the casting. 6 Extendable prime well w/.012″ tag wire needs to be cleaned carefully. Also there is a need to clean carb spray as well. 7 Remove the idle prime well welch plug making use of a sharpened chisel or even a punch can be used. Using a tag wire as well as a carb spray, efficiently clean the progressive holes along with the idle air bleed hole. During an event of damage in the progression holes, make sure to replace with a new carburetor. 8 Remove carefully the idle restrictor cap, using the tag wire and carb spray clean the idle jet. 9 Using tag wire, clean the idle circuit fuel pick-up that is located in the center leg. 10 On the side of the center leg, Series 11 bridge carburetor incorporates an additional idle circuit fuel pick-up jet that needs to be cleaned using .012″ (.3 mm) tag wire. 11 Using tag wire, clean the main jet (bowl nut). Mainly there are 3 drilled passages, the idle delivery hole, the fuel pick-up and the main jet. 12 Using TecumsehPower carburetor spray part # 696410, spray all the cavities. 13 With a flat punch, replace the welch plugs that are included in the carb kit. Cover theedge where plug is meeting the casting with fingernail polish. 14 A seat having a grooved end is installed firstly into the carburetor casting. 15 Make sure that you carefully install seat into the orifice using the carb tool until itbottoms well on the casting. 16 Using the carb tool check out the float height. The float should be placed in such a way that on carb tool removal, the float must remain on its position. 11/64″ is the dimension of the carb tool. 17 By bending the metal tang carefully adjust the float if needed. 18 Before inserting the float hinge pin bring the float/needle assembly down into the position. It is worth to mention that one should always keep in mind that the open end of the needle clip of a TecumsehPower carburetor would always face out towards the air cleaner side. 19 Install a new float bowl, bowl “O” ring, and the bowl nut with a new bowl nut gasket. TecumsehPower tool parts number (670377) or the 11/64″ drill bit are necessary for proper setting of the float. The float height setting procedure is as follows. Firstly remove carefully the bowl gasket, now in inverted position hold the carburetor. 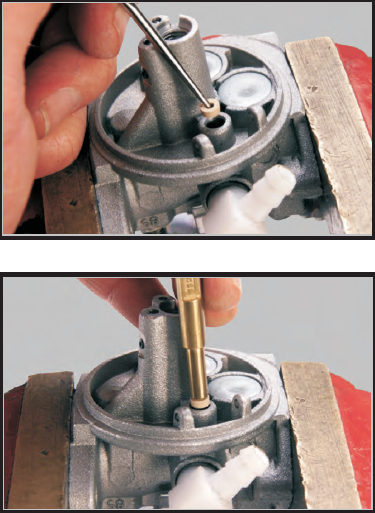 In a direction parallel and opposite to the float hinge pin, place carefully the tool across the carburetor body. By bending the tab on the float adjust the float height until the tab touches. Making use of the removable seats made out of VITON® material, TecumsehPower carburetors are built. By using TecumsehPower tool 670377 these seats can easily be removed or these may also be removed by bending the wire with a hook measuring 3/32″ or bending the end of a paper clip. Now, very carefully try to thrust through the hole towards the center of the seat and then remove it. Make sure you always use a new seat for the replacement purpose and never reuse an old seat. Before installing a new seat, be sure whether the seat cavity is clean or not, if it’s not clean make sure you properly clean it and to help it slide into the place moisten the seat using a drop of oil. With the grooved side of the seal down position the seat and with a 5/32″ flat punch carefully push the seat into its cavity to the point where it bottoms out. This job can also be performed efficiently using the TecumsehPower tool 670377. Float and the inlet needle needs to be reinstalled into the carburetor. It is also important that the long end on the inlet needle of the clip should be pointing toward the air intake (choke) side of the carburetor. 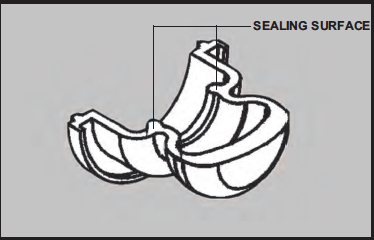 By carefully placing the detent portion in a direction opposite of the hinge pin the float bowl can be installed. The deepest end of the bowl needs to be placed in a position exactly opposite to the inlet needle. Located in the deepest part there is a dimple in the bowl. The dimple serves the purpose of minimizing the chances of the float that may at times stick to the bottom of the bowl that is mainy caused by stale fuel. For float removal purpose, using a needle nose pliers carefully grasp the cross piece lying somewhere between the center leg as well as the pivotal point on the float. It is very important to pull out the float straight out in such a manner that it does not break. While installing the float, into the hinge slot present on the float place the float hinge pin and slowly press into place in the bowl. In order to hold the seat in the place, there may be few types of bowls that may also contain a clip or retaining ring. This feature may come pre-installed as needed for the manufacturing process. In order to make the process of assembly easy, on the gasket and the bowl an alignment notch is also placed that would guarantee a proper location for the gasket. Carefully position the coil spring on the screw first which is then followed by the small brass washers and finally the rubber “O” ring seal while you reassembling the main mixture screw used for adjusting. All the welch plugs must be removed in order to expose the drilled passages to facilitate proper cleaning. Sharpen to wedge point a small chisel in order to remove the welch plug. 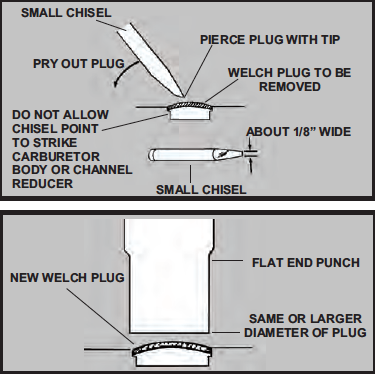 Carefully drive chisel inside the welch plug and then push down on chisel to out of the position. 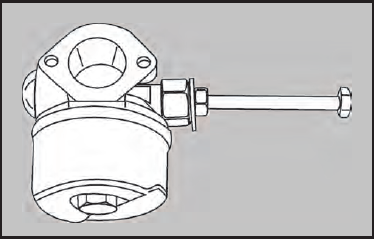 As illustrated, a new welch plug must be installed bell-up. Tap down on to the plug using a punch that is equal or greater than actual size of the plug. Make sure that the dent must not drive to the center of the plug below or to the top surface of the carburetor. Since the nail polish offers resistance towards the fuel, nail polish can be used to seal the outside edge of the plug with nail polish after installation of the welch plug, in order to ensure that no air would enter the mixing well, as a result leakage of the fuel can be avoided. For the purpose of identification, you can use different colors so that the work of the previous repair person can easily be identified. Fuel inlet fitting can easily be removed by the means of twisting and pulling, if necessary. Make sure that you install it in the same position as that of the original one. 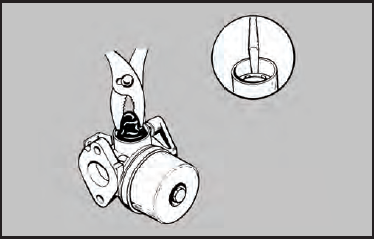 As an integral part of the fitting strainer might be a part of some diaphragm carburetors. Replace the fittings if the strainer is not possible to be cleaned or lacquered. 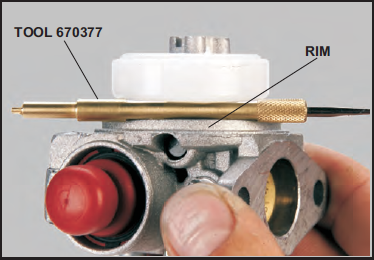 Carefully insert the tip inside the carburetor body while installing a fitting. Using a Loctite grade A coat the exposed portion of the shank and press it in until the shoulders come in contact with the carburetor body. A 1/4″ bolt, 1/4″ nut as well as a washer 1/4″, coupled with a 1/2” nut can successfully be used to remove the leaking or damaged fuel inlet fitting. 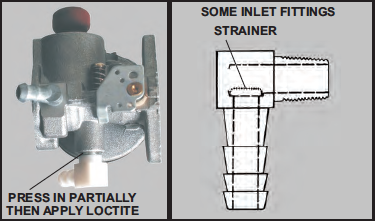 To successfully remove plastic part of inlet fitting, a plier or vise can efficiently be used. Using a 1/4″-20 tap, you can tap the inside of the remaining metal portion of the fitting. To properly guide one side of the nut to position it squarely to the carburetor you need to place a 1/2” nut over the fuel fitting. Next step, thread the 1/4″ nut on to the bolt up to the point until it comes in contact with the shank, then add the washer, and carefully thread the bolt into the fitting until snug. Up to the point where the fitting is removed, tighten the 1/4″-20 nut. First of all on the air horn of the carburetor, place the choke plate. It is very important that the flat surface must face downwards. Each carburetor as designed to operate, can operate only in one way, however the choke plates can operate in both directions also. Make sure these choke plates are assembled properly to operate in right direction for your engine. 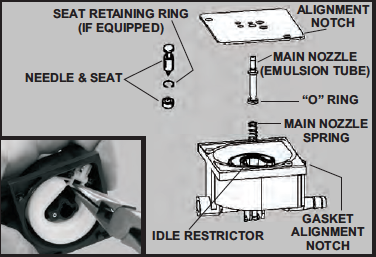 NOTE: While reinstallation of choke or a throttle shutter, always use a new screw(s). Old screw(s) must never be reused. 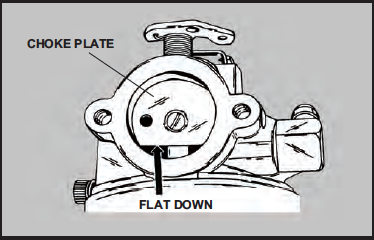 The plate with scribe mark needs to be positioned facing out and in the 12 o’clock position while installing the throttle plate on the 2 – 7 hp carburetors. NOTE: One thing that needs to be taken care of is that the binding must not occur. 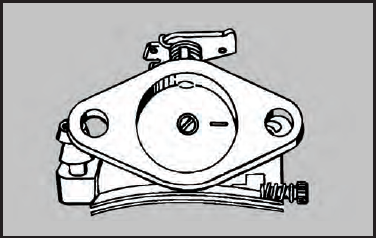 Position carefully the plate with scribe mark in a direction facing out and in the 3 o’clock position while installing the throttling plate on the 8 – 17 hp carburetors. NOTE: Important to note that in carburetors binding must not occur. For all the carburetors having an “F” designation on the casting, the installation sequences same as the gasket and diaphragm on the carburetor will be identified. For all the carburetors designated as “F” carburetors the diaphragm needs to be installed first then the gasket and cover in the end. In case if there is no designation mentioned, then the general sequence of installation is the gasket, diaphragm and cover in the end. There are some carburetors making use of a serviceable emulsion tube that is sealed with “O” rings on one or both the ends. There rings on the emulsion need to be removed while servicing these carburetors. 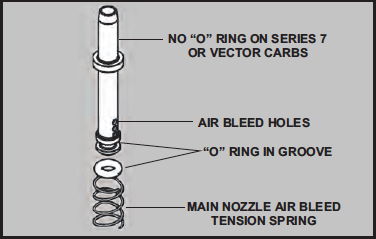 It has been witnessed quite commonly that during the process of the tube removal the “O” ring on the venturi end of tube at times may remain stuck in the central leg of the carburetor. 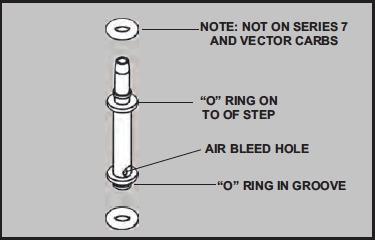 In order to guarantee proper operation and sealing this “O” ring must be removed and replaced back. The tube bends a 90o hook in a paper clip or stiff wire to remove. Reach inside the venturi and try to push out the main nozzle emulsion tube as far as possible. Try to Hook the wire inside the air bleeding hole and carefully pull out to remove. Make sure that before reinstalling the tube, all “O” rings have successfully been removed and placed back on the main nozzle emulsion tube. To put tension on the tube in order to force it towards the gasket, an emulsion tube spring in the Vector as well as Series 7 carburetor can successfully be used. This can be efficiently used to seal the tubes thereby to prevent inflow of any unmetered air into the center leg. The proper series can be firstly float bowl then the spring, the tube, gasket and towards end is the carburetor body. The emulson tube can be removed by gently grabbing the tube with a needle nose plier and pulling it out straight. Replace the tube in case if it is distorted or damaged. Occasionally, on the dual system carburetor equipped engines, some rich starting conditions may have occurred at times when the engine is warm. 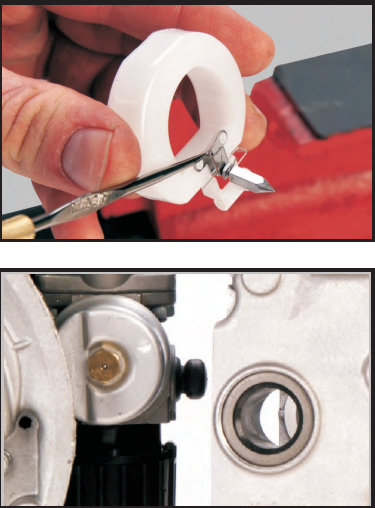 Using the white plastic spacer this can efficiently be corrected as shown and at the same time inserted in to the center leg of the carburetor. (Service # 632158). To reduce considerably the amount of prime charge into main nozzle area this spacer has been designed for a better starting under the warm engine conditions. It doesn’t lean out the carburetor mixture and can only be used on Dual System carburetors. One must replace carburetor primer bulbs with care. Hard starting or non-starting problems can be caused on the usage of the wrong primer bulb. Currently, TecumsehPower makes use of four different carburetor mounted primer bulbs. Use the Master Parts Manual to avoid problems during the correct application. The primer bulbs five in number currently makes use to feature two different shapes; derby and stepped (or hourglass) and similarly two different venting types; internal as well as external. In order to force easily a charge of air directly into the bowl through the atmospheric vent chamber stepped primer bulb can efficiently be used. The sealing surfaces as pictured prevent this air from going back into the air filter. NOTE: A Bowl prime system needs a great gasket seal on the bowl or otherwise a low prime charge might be generated. Caution: While removing retainer, in order to avoid serious eye injuries, it is important to wear safety glasses or goggles. Grasp the bulb with a plier to remove the primer bulb by twisting and pulling it out of the body. The retaining ring must be removed out after after removing the primer bulb. A screwdriver must be used to carefully pry the retainer out of the body. Old primer bulb or retainer must not be reused. It is necessary to clean the primer passages thoroughly once the primer bulb has been removed. NOTE: New primer bulbs always come with a new retaining ring.